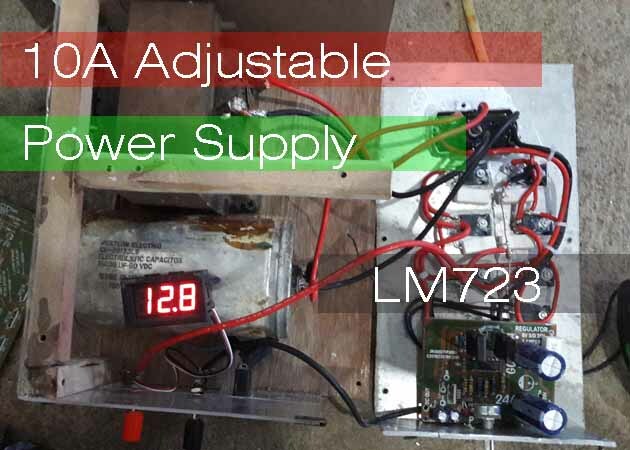 Make a power supply circuit using IC LM723 adjustable regulator is very nice to use the power supply that requires a large voltage-ampere. Power supply circuit has a DC output voltage that can be regulated output from 0V up to 35V and it also depends on the input voltage. 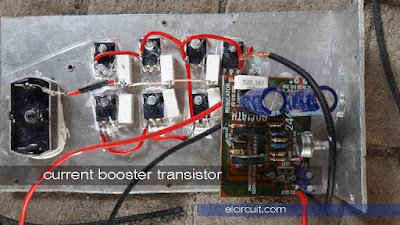 For output currents ranging from 2.5 Amperes to 10 Amperes. 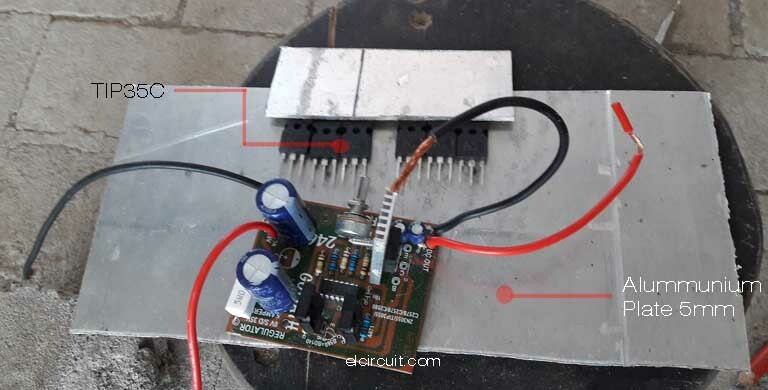 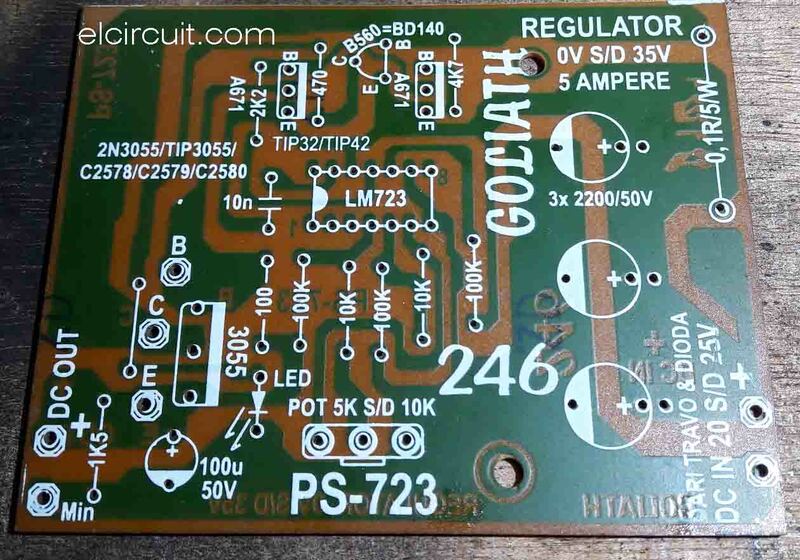 This circuit is also equipped with over-current protection, where there are LED indicators that work when the power supply has a high current surge then the led will light up. 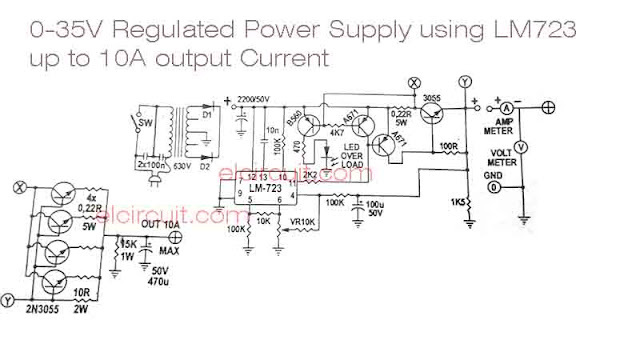 These LED lights can we indicated that the required voltage on the electronic components is quite high. Let's try to make it, here I present the circuit along with PCB layout and also video tested using transformer 10A output 27VAC. 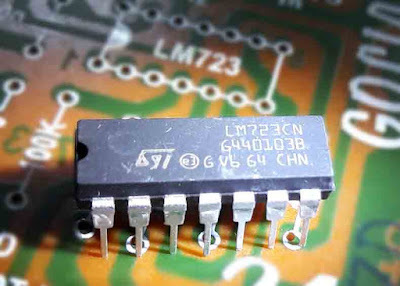 At the circuit above power supply circuit is using IC LM723 and the over current protection as labeled "LED OVERLOAD" which is controlled by the transistor B560 / BD140. 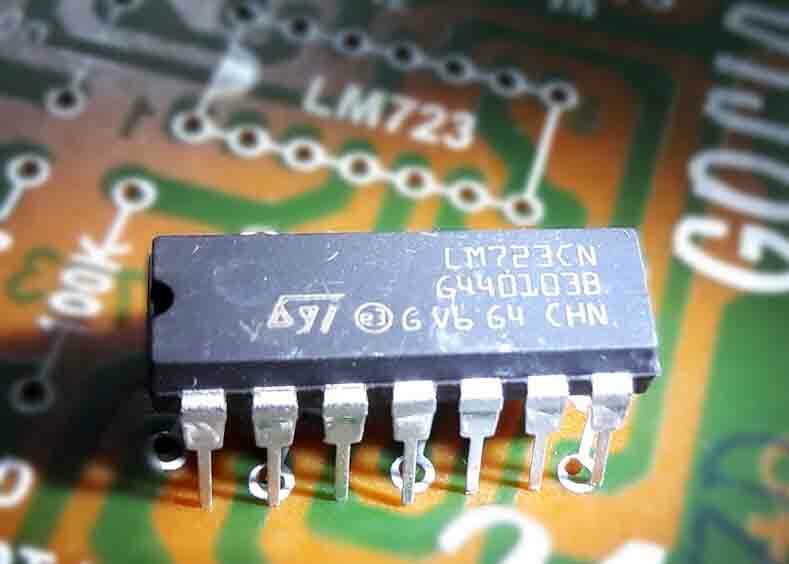 And also there are some components driving the transistor A671 to the equation that can be used in addition to A671 that TIP42 / TIP32. 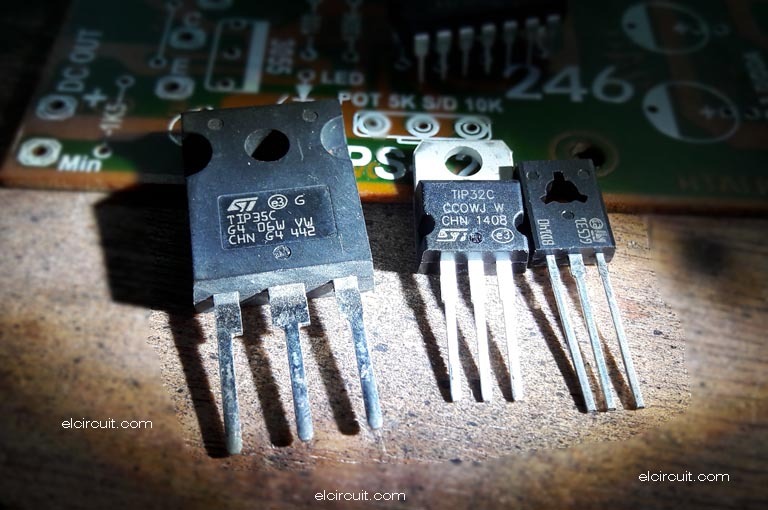 And the last transistor for booster current is 2N3055 / TIP3055 / TIP35C, you can also parallel it to raise the voltage current, as above diagram with label "X" and "Y". 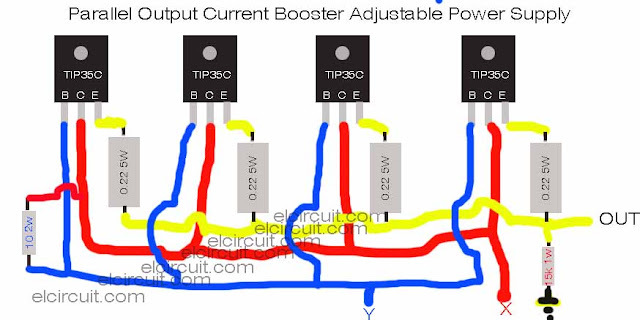 For booster current transistor I use TIP35C for its datasheet you can see in the google search. 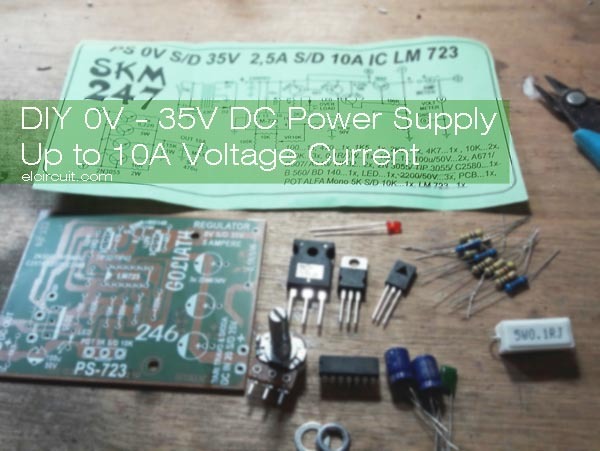 the output voltage is about 30vdc 8A output. 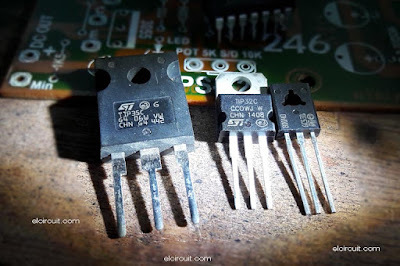 Klo led diganti buzzer bisa perlu ganti resistor yg kearah led g om? Trus klo mau menambah adjust Ampere (current) dibagian apanya ya untuk pasang VR nya.